The kick stage was flown and tested on board the recent Still Testing flight that was successfully launched on 21 January 2018 NZDT from Rocket Lab Launch Complex 1 in New Zealand. The complex mission was a success, with the new apogee kick stage coasting in orbit for around 40 minutes before powering up and igniting Rocket Lab’s new restartable liquid propulsion engine called Curie, then shutting down and deploying payloads. With the new kick stage Rocket Lab can execute multiple burns to place numerous payloads into different orbits. “Until now many small satellite operators have had to compromise on optimal orbits in order to reach space at an accessible cost. 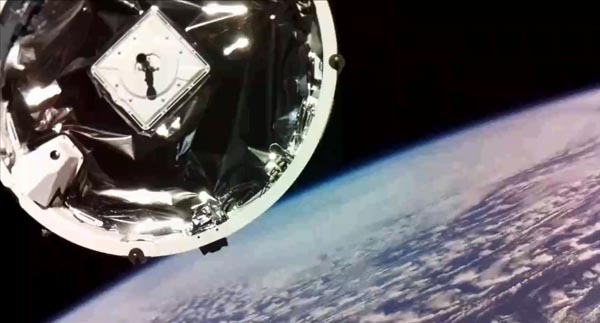 The kick stage releases small satellites from the constricting parameters of primary payload orbits and enables them to full reach their potential, including faster deployment of small satellite constellations and better positioning for Earth imaging,” Beck says. I don’t know why, but I have a soft spot in my heart for in-space propulsion. Agena, Centaur, Briz, IUS, you name it… I find them all fascinating. Good for Rocket Lab and the best of luck to them. Those Briz modules are one of the secret reasons Space X does so well on the business side.